Submit a photo of your favourite restaurant dish and win Vitaliano Pasta Pots with Lid by Silit worth $429 each! It’s easy. Simply download the epicure Food Hunting app at http://bit.ly/foodhuntingOR submit via our online form to upload your food picture(s). Three of the best looking photos will be selected each month. The closing date for entries is 12 December. This month’s winners will each receive Vitaliano Pasta Pots with Lid by Silit worth $429 each. Vitaliano's ergonomic pots come kitted with a specially designed sieve to prevent pasta water from ever boiling over again. Small perforations running around the stainless steel insert allows foam to drip back into the cauldron, making even the most elaborate Italian feast a hassle-free, no-spill affair. Thanks to a sturdy base that allows for faster heat conduction and a see-through lid with stainless steel rim, boiling perfectly al dente pasta now calls for less water and shorter cooking times. Ovenproof handles and a practical integrated draining element makes this even easier to use. 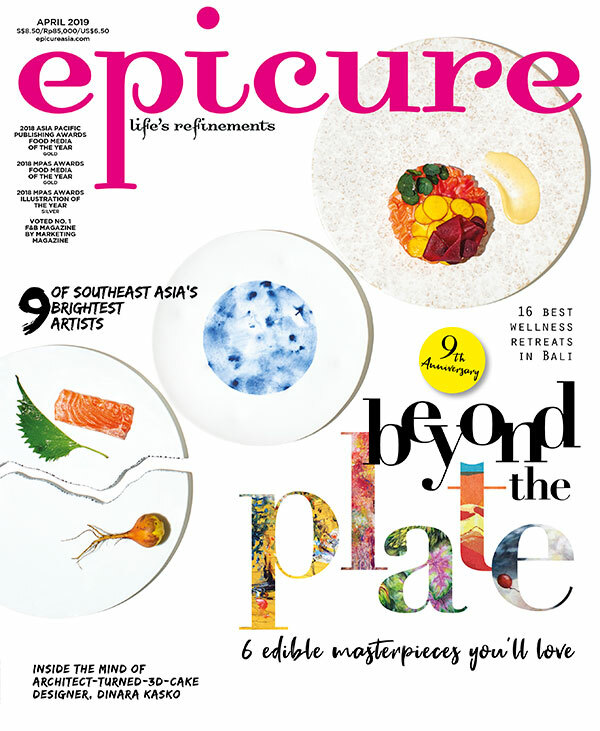 epicure magazine reserves the rights to publicise the participant’s name, picture(s) and name of the restaurant in print and online. Only winners will be notified. The judges’ decision is final and no correspondence on the decision will be entertained. Submissions of homemade or hawker food will not be accepted. Entries have to be shot on-site at the eatery. Facebook Fave winners cannot qualify for two consecutive wins.